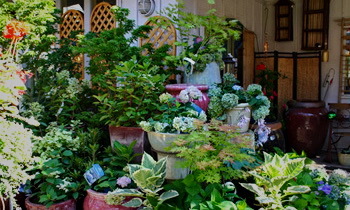 In 1908, Zenhichi Harui came to Bainbridge Island from Japan and started growing plants and flowers in his small garden. As the garden grew, it eventually included sculptured trees and fountains and lily pad-covered pools with goldfishes swimming under bonsai pines. 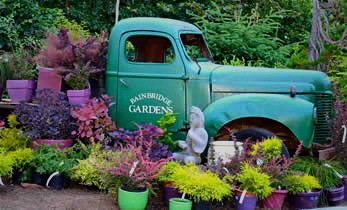 The gardens blossomed into a well-known attraction for garden lovers throughout the area. when Mr. Harui and his family were forced to leave with many thousands of other Japanese-Americans. Although friends tried to sustain it, the Harui family returned to a nursery beyond restoration.